In stock | Hurry, only (6) left in stock! Floral, fruity, minerally, light-body wine. Grape: 55% Grenache, 40% Cinsault, 5% Syrah. 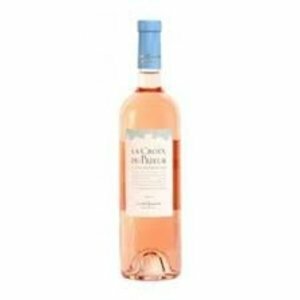 Region: France> Provence> Cotes de Provence. Notes: Sustainable farming. Old vines. No oak. A classic Provincial Rose, with subtle aromatics of fresh rose petals, grapefruit, bergamot, and wet stone. Soft, round texture with balanced acidity/ alcohol. A perfect compliment to a sunny warm day. Owned by the Sumeire family, originally a local wine merchant that dates back to 1500, Chateau Coussin is located at the foothills of the Sainte Victoire mountains, near Aix en Provence. While ancient traditions abound, the winery is a state of the art facility and every attention is given to preserving the bright and aromatic aspects of the spectacular fruit that Chateau Coussin produces. Food pairing: Salads, seafood, salmon (grilled or seared), grilled lamb, spicy food, etc.